A leading city councillor has welcomed progress on the multi-million pound redevelopment of Exeter Bus Station. And the authority has pledged that everything will be done to ensure that disruption is kept to a minimum while the work is being carried out. It comes as members of the Exeter Highways and Traffic Orders Committee (HATOC) backed highways works needed to create a temporary bus station in the city centre at a meeting on Monday. More details of the temporary arrangements that will be in place when the current bus station closes next spring have now been revealed. Exeter Bus Station will close at the end of March 2017, to allow for a major redevelopment of the site. A new Exeter Bus Station will open in the winter of 2018, at the same time as Exeter’s new state-of-the-art new leisure centre St Sidwell’s Point, which is also being developed by the City Council. The new bus station will include covered waiting and boarding areas and high quality facilities. It will replace the existing aging bus station which opened in 1964. While the new bus station is being built, temporary measures will be place to enable services to continue operating smoothly. Councillors sitting on the HATOC committee at County Hall, heard a budget of £80,000 is being funded by the city council as part of the initial enabling works to redevelop the bus station. An overall budget of £400,000 has been set aside for the temporary bus arrangements in the city centre. It is part of the overall budget previously approved by councillors, and lower than the original estimate for the work. Councillor Phil Bialyk, lead councillor with responsibility for the redevelopment, said passengers currently using Exeter Bus Station will be dropped off and picked up nearby when the facility closes for the start of redevelopment work. He said: “The bus station is going to be knocked down, and not before time. We will have a far better facility for people arriving into Exeter. “We have been working with the public and we have been working with the bus company and operators. We will have some on street stands that will bring people into the middle of Exeter, in and around Paris Street and Sidwell Street. Cllr Bialyk said every effort will be made to keep disruption to a minimum. “We can’t just build a bus station overnight, it is going to take the best part of 18 months,” he said. A short video highlighting the changes has been released by the City Council on social media. After widespread consultation, a decision was taken to retain bus stands in the city centre. The temporary measures will include bus stands/stops with weather protection and information for passengers, for services which currently use the bus station. Nine stands will be used in Sidwell Street. Five will be in Paris Street and one in Cheeke Street. Three stands for coaches will also be based in Sidwell Street. Stagecoach will shortly publicise which services will use which temporary stands. 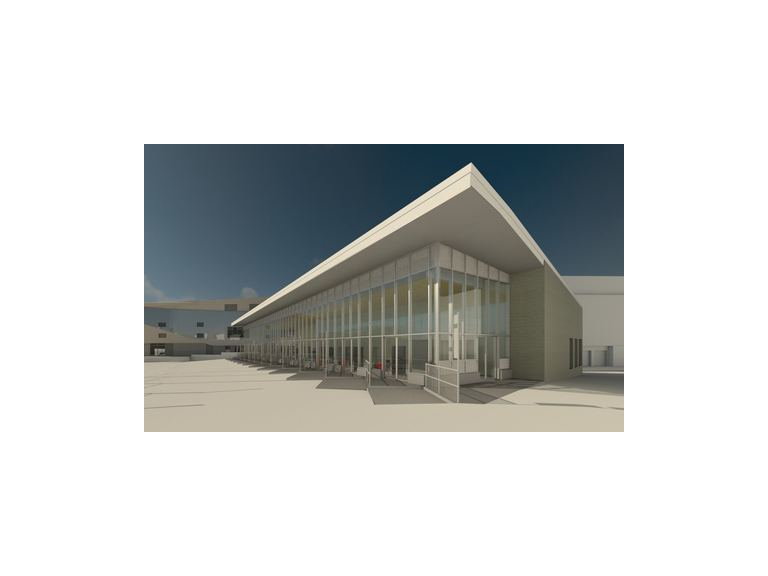 Layover bays will be located in Red Lion Lane, Verney Street, Bampfylde Street, Paris Street, Summerland Street and Sidwell Street, at varying times during the new build construction phase. A ticket sales facility, and welfare facilities for bus drivers, are also incorporated into the plan. A temporary traffic solution will also allow traffic to access two of the Princesshay car parks via Southernhay East. The temporary facilities will be in place by March 30, 2017, the date the existing bus station site needs to be vacant. The City Council will ensure a comprehensive signage strategy is in place to minimise disruption. Highways alteration works in Sidwell Street and Paris Street will start in January, with the works in Southernhay starting in January/February. More details can be obtained by calling the City Council on 01392 265880.